Ok, ok, ok dolls! So I know I wrote a "Saying Goodbye to Winter" post a couple of weeks ago (HERE), but I have a confession: it's still been pretty chilly here the past couple of weeks and saying my goodbyes with winter have been pretty long....and slow....and slightly painful...haha. Y'all might have noticed, I've been on a blogging spree this week because I've been on Spring Break. I know spring clothes are right around the corner and I promise those posts will come, but right now I wanted to document and blog some last OOTD & OOTNs I've worn over the past few weeks that I want to show y'all!!! They are more winter styles but better now than never right?! 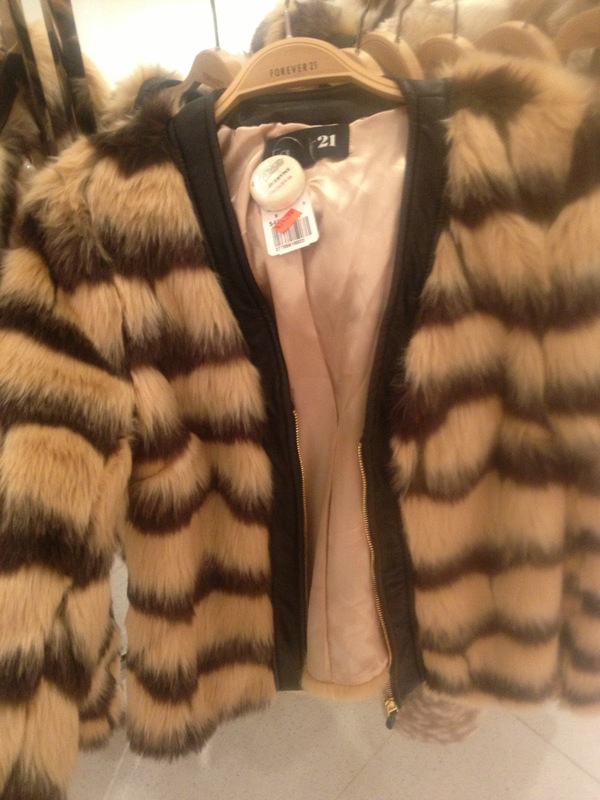 So before Christmas I saw this fabulous fur coat at F21 that was around $50. It may be a bit over-the-top for some people's taste, but there's just something about it I LOVED....and if you haven't noticed, I am obsessed with faux fur. Just last week I was in Forever 21 and found my Christmas-present-that-never-was on the sale rack. Isn't it funny how that makes it even more desirable when it's 50% off? haha! It was literally only $25. So not only is it the coat I wanted way back in December, it's also half-off?! Too good to pass up!!! This time last week it was still in the 30's, so I bought it and was excited to wear it this past weekend!!! On Friday night, I wanted to "dress it down" and I styled it with a denim skirt, belt, sheer top and ankle boots! I know it's a bit wild, but I just love it. What do y'all think??! Be sure to check out how one of my favorite bloggers, Cara Loren styled it HERE. This coat is amazing!! I always feel so glam when i wear fur! !